Queensland – ‘The Sunshine State’. With more than half a million roof top solar systems installed across Queensland, the state currently leads the nation in solar penetration. But for those who aren’t yet on board with the solar revolution, Canstar Blue has put together this guide on the benefits and costs of solar, and how you can find the system best suited for you. How much does solar cost in Queensland? It costs between $3,000 and $13,000 to purchase and install a new solar PV system in Queensland. Small solar systems (less than 3kW) generally cost $4,000 or less, while 4kW systems or larger will set you back upwards of $5,000. While that might sound expensive, solar is considerably cheaper in Queensland than in most other states and territories. The below table courtesy of Solar Choice shows the average price for popular solar system sizes in Queensland, compared to the national average. As you can see, a solar system in Queensland is often several hundreds of dollars cheaper than across the border. Source: Solar Choice – June 2018 solar price index. Prices are after applied STC discounts. How many households have solar in Queensland? According to a recent climate council report, around half a million (or 1 in 3 Queensland homes) have a solar system installed. But the Queensland Government expects this figure to rise to about one million homes by 2020. While solar uptake in Queensland has slowed down since the Solar Bonus Scheme closed in 2012, many households are still getting on board – particularly in the South-East of the state, with several Brisbane suburbs already having a solar penetration of more than 50%. There are two primary solar incentives available: Feed-in tariffs and Small-scale Technology Certificates (STCs). These schemes help reduce the cost of solar and make it easier to get a return on your investment. STCs are part of the federal scheme which rewards customers with a form of rebate. If you install solar panels or a solar hot water system, you will receive number of certificates that can be sold on an open market or given to your solar installer for a hefty discount on your system. The price per certificate shifts with supply and demand, though it usually sits around the $40 mark. The number of STCs you will receive will depend on the systems size, as well as your location. 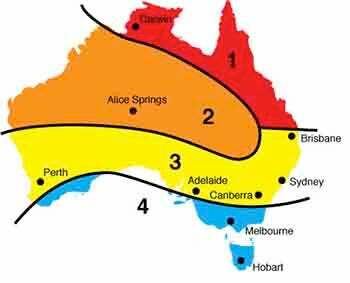 The country is split into STC zones 1 through 4, with zone 1 having the highest STC reward. As the image shows, solar power customers north of the Sunshine Coast receive the most STCs. Inland Queenslanders will earn the second most and South-East Queenslanders, the least. When solar panels produce electricity and no one uses it, this power is transferred to the shared energy grid. For every kWh of electricity that your solar panels export, your energy distributor will rebate a few cents off your electricity bill. The minimum flat-rate feed-in tariff in regional Queensland is 9.369c/kWh, while South-East Queenslanders (on the Energex network in the Brisbane area) receive a voluntary FiT that’s usually around 10c/kWh. Some retailers may offer even higher FiTs – AGL and Click Energy both have solar deals with FiTs of 20c/kWh and 16c/kWh respectively. The Queensland government in 2018 announced it would be introducing a voluntary opt-in time-varying feed-in tariff to regional Queensland. Solar customers on time-varying tariffs receive a different price for their solar output depending on the time of day. During “peak” hours between 3pm and 7pm, customers are paid 13.606 cents per kWh of electricity produced by their solar panels. All other times are considered “off-peak” and customers are paid 7.358 cents per kWh of solar. 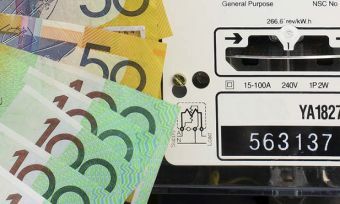 Customers who signed up to the Queensland government’s old Solar Bonus Scheme before July 2012 will continue to receive an additional flat-rate FiT of 44c/kWh until 2028. Unfortunately for new solar customers, however, reintroducing a premium feed-in tariff doesn’t look like it’s on the cards. Here are some of the cheapest published solar-specific deals from the retailers currently on our database for QLD. These costs are based on a typical three-person household living on the Energex network in Brisbane, but prices will vary depending on your circumstances. We show one product per retailer, listed in order of price. Use our comparison tool above for a specific comparison in your area. Annual cost estimates exclude solar payments. This table includes featured products from referral partners. Our database may not cover all deals available in your area, and please check retailer websites for up to date information. Electricity customers in South-East Queensland (from the NSW border to around Gympie and Toowomba) are able to choose their energy provider. Feed-in tariffs for SE Queensland customers vary from 6c/kWh to 20c/kWh, so it’s worth shopping around. When comparing electricity products, keep in mind some solar deals often have higher rates and smaller discounts than standard (non-solar) offers. That means a solar plan with a high FiT won’t necessarily be the cheapest option. Below are just some of the products in the Queensland market. Source: Canstar Blue electricity database/respective retailer websites, March 2019. The Queensland government has set itself a target of one million rooftop solar systems by 2020 – nearly double the number of systems today. To assist this, the state government introduced its ‘Affordable Energy Plan’. Among other things, this energy plan includes interest free loans on solar power systems that help households deal with the huge upfront cost of solar. Additionally, it will introduce a trial program aimed at encouraging landlords to install solar and pass on the benefits to the tenant. This would be done through an annual $520 rebate to landlords who install solar on rental premises. Details are scare at this point and there’s no guarantee this plan will be implemented, so watch this space for updates. Queensland has an abundance of sunshine, which means your panels will often produce more electricity than what you can use. When this happens, the excess power generated by your panels goes to the shared electricity grid. In exchange, customers receive a ‘feed-in tariff’ – a small rebate of a few cents per kWh of electricity exported. Alternatively, customers with a solar battery can store the excess solar power to use for themselves later on. Since electricity usage rates are generally much higher than solar feed-in tariffs, customers will save more by storing and using the solar power themselves, rather than exporting it. The downside to solar batteries is that they don’t come cheap. A standard retrofit battery can cost between $8,000 and $12,000, though price varies depending on capacity, brand and installation difficulty. It will typically take 10 to 15 years for a solar battery to pay for itself, however most batteries are only covered by a 10 year warranty, so it’s possible you won’t recoup your investment. Prices are expected to continue to fall however, so watch this space. 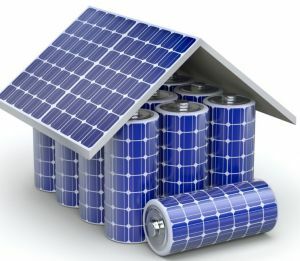 Keep in mind that not all batteries are compatible with different solar systems and inverters. Make sure to contact your installer and get their opinion on the right battery for your home. Is solar a good investment? Solar is not the surefire investment it was in the days of the Solar Bonus Scheme, however it can still save you money in the long-term by shaving hundreds off your energy bill every year. While the price of solar has fallen over the years, solar panels are still an expensive purchase. It will take years before the solar panels pay off and your solar savings exceed what you spent on the system. Is your roof right for solar? Solar can be installed on nearly any type of roof, whether it is flat or tilted. Solar installation may, however, be slightly more expensive if your roof is flat as the installer would need to install and mount the solar panels on angled brackets. Anyone with an old or damaged roof should consider repairs before installing solar – once its installed, your roof needs to last as long as the new solar panels. How shaded is your roof? If there are trees blocking the sunlight to your roof, you will need to have these trimmed to ensure the solar panels receive sunlight. The down side is that removing the shade might make your home warmer in the summer months. The price of electricity: The more you pay for electricity, the more you can save with solar – it’s that simple. Alternatively, if you’re not getting a good price on electricity, compare electricity providers. Future needs: Solar panels should last at least a decade, so plan ahead. If you have kids moving out of home soon, maybe you don’t need as large of a solar system as you were quoted. Are you considering leasing or selling? While solar panels undoubtedly improve property value, how much value they add will depend on the property market – so it’s not necessarily a safe bet. If you’re planning on leasing out the property, realestate.com.au says renters are likely to pay more rent for a property with solar panels. Also be sure to keep an eye out for developments on how you can benefit from the Queensland Government’s proposed Affordable Energy Plan. *Costs based on annual usage calculations using statistics from AER for a three person household on the Energex network in Brisbane, April 2019. For more information on annual cost calculations please click here. ^By clicking on a brand, 'go to site' or ‘details’ button, you will leave Canstar Blue and be taken to our referral partner to compare. Canstar Blue may be paid for this referral. You agree that Canstar Blue’s terms and conditions apply to this referral. Annual cost estimates exclude solar payments. ¨Refer to Powershop’s price fact sheets for details.